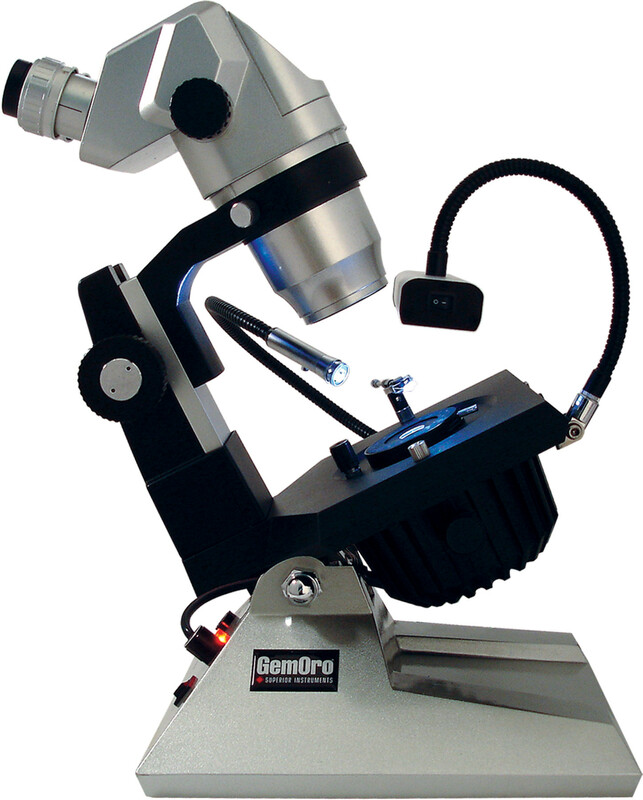 The Gemoro DSPRO1067 LED gem microscope combines premium Japanese optics with a modern brightfield/darkfield gem stand to meet the professional standards of gemological and precious minerals industries. Multi-coated optical components are free from chromatic and spherical aberration and provide crystal-clear, high-resolution images for fast identification and analysis. A generous 4-inch working distance allows easy access and manipulation of the gem. The base rotates 360 degrees to assist client observations. 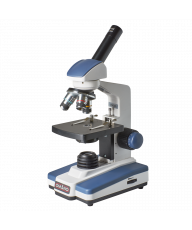 The microscope comes with a magnetic gem holder, rugged aluminum carrying case, dust cover and eyecups, along with a 5-year Warranty. The Greenough optical design provides superior erect, unreversed, stereoscopic images, rich in contrast, brightness and accurate color rendering. The zoom magnification range of 10x-67x is accessed with dual-sided zoom controls and the fixed working distance is 100mm. The head is inclined an ergonomic 45° and includes interpupillary adjustment of 48mm-75mm for fatigue-free viewing. 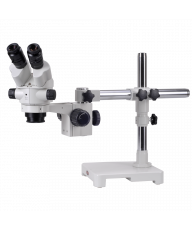 High Eyepoint widefield 15X/F.N.23 eyepieces come standard, offering dual dioptric adjustment and a broad field of view. 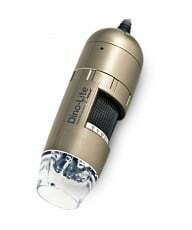 Brightfield / Darkfield illumination is from powerful and consistent variable-intensity, shadow-free LED with an aperture diaphragm adjustable from 35mm to 2mm. 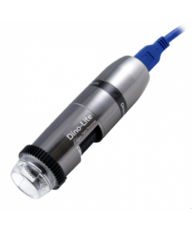 This allows depth of field and contrast control for easier stone identification. Incident illumination is provided by two switchable LED light sources, one gooseneck spotlight located on the side, and a lightbox on a flexible gooseneck arm. The stage offers Left or Right side mounting points for the spotlight and the patented Rollerball magnetic gem holder. The professional gem stand features dual ergonomic focus controls for precise movement and image control. 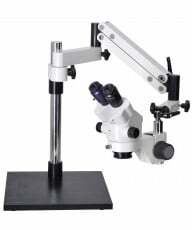 The all-metal aluminum alloy microscope frame and components feature a chemical resistant finish which guarantees stability and rugged dependability for a lifetime of day-in and day-out professional use. Accessories include 100V-240V power supply, Aluminum transportation and storage case, wire gem clamp, eyecups and dust cover.